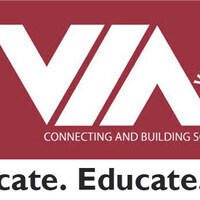 Whether you are a new member of the Valley Industry Association, an established as a member for quite some time, or someone considering membership, we encourage you to attend the breakfast to become more fully acquainted with the work of VIA and the ways you can benefit from involvement and participation, whether it be through committees, programs or special events. VIA Board members, committee chairs and staff will be available at the event to talk with you and help you identify the best ways to gain maximum benefits from your membership. Roger Doumanian, Attorney at Law. and help you achieve extraordinary success. If you aren’t yet a member, we encourage you to learn how the organization may be able to assist your company or act as an advocate with a large, collective voice for business on local, state and federal issues. VIA works for you! VIA has much to offer its membership and we would be most pleased to have you join us. Continental breakfast will be served and there is no charge for this event. VIA encourages you to take advantage of this unique opportunity to meet members of our Board of Directors and Committees, and receive an overview of what’s happening in the organization. Reservations are required so please RSVP today! Once again, thank you for your membership and continued support! Your contribution is very important to the organization – we couldn’t do it without you!